I find myself constantly repositioning my animation to center of the window if the overall size is increased from say 600x400 to 1920x1080 for example. 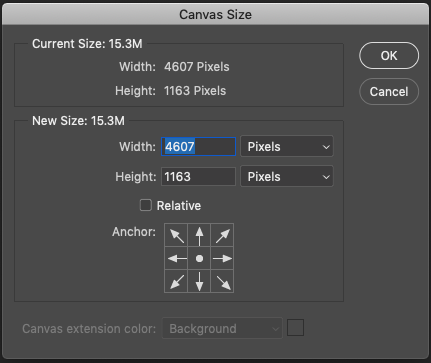 Photoshop had Canvas Resizing since the beginning of time. Id love to see something like this in future for Hype. …in the mean time and you probably do this. Just select all elements and temporarily group them. Adjust Scene size , move the group. Yep it’s exactly what I do. That said there’s also a problem with constraining a group to center at times If say something is rotated, scaled inside the group… because the elements that are inside being moved regardless and hype is adjusting their rotation based where they are in the window grouped cant really figure out what is center and at that point you have to go by eye. Thanks - I’ve wanted to do the resize based on flexible layout options, but I also am a long time user of photoshop’s canvas resize and that might make some sense too, especially given the hurdle of setting up flexible layout on all elements. I hope this is added to you feature tracker as its going to make things a lot easier for folks like us. All feedback, including this, is added to the feature tracker .